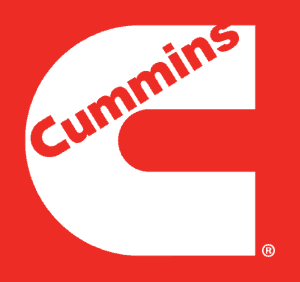 LAS are well aware that our customers are not all the same and require different things from their American RV motorhomes. Some customers know exactly what they want whilst others have not got a clue. At LAS we are here to offer guidance and advice, leaving the final decision making to you the customer. Things have changed in America regarding the television world. Gone are the days when the American TV’s looked like something you had in the 70’s, they have now caught up and use similar TV’s as we do in Europe. If you are thinking of importing a new American RV motorhome then you could purchase a free view box and run your TV’s through the HDMI circuit, this would eliminate replacing the TV’s. Using Freeview through the TV aerial would require possible retuning when you change your location. The answer to solve the problem would be to buy a satellite system and use a free sat box. If the satellite system was automatic then there would be no need for retuning. The fitment of a DVD player to the entertainment system is not as popular nowadays, many customers choose to play their computers through the HDMI cabling which allows them access to films from Netflix. If you do have your own collection of DVD’s, then a DVD player could be the option for you. 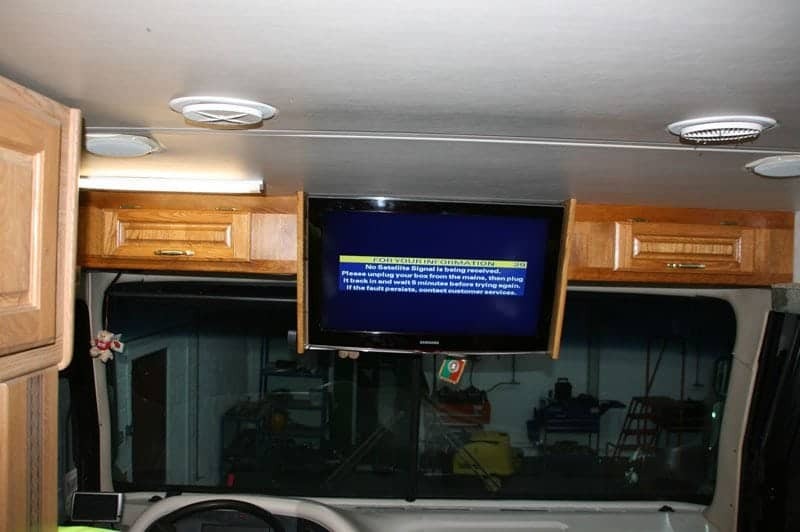 A number of the new American motorhomes will already have a surround sound system integrated into them; however the DVD machine supplied will not work in this country. 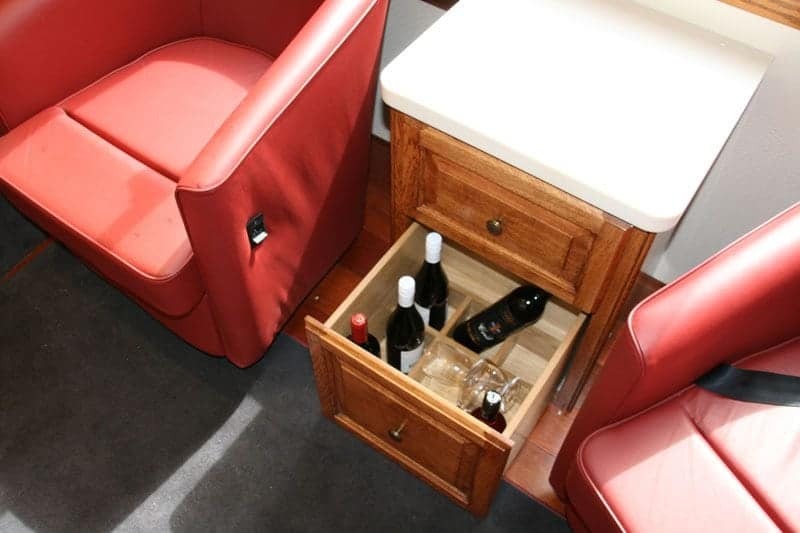 Fortunately, LAS Motorhomes can create a new system for you, using the original speakers. 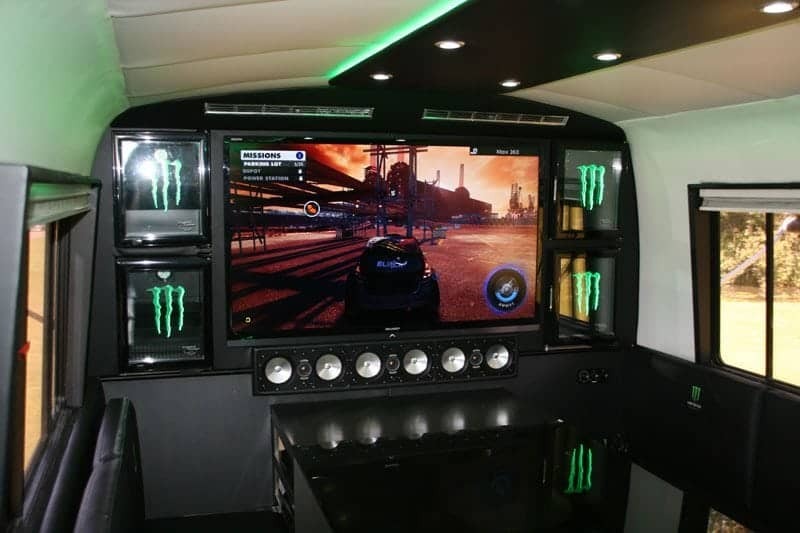 If you don’t have a surround sound system in your RV and are interested, LAS Motorhomes are experts in careful and precise wiring, and have fitted many discreet speakers into motorhomes. Our main suggestion for buying a good quality satellite system for your motorhome is that before you buy anything, ask LAS Motorhomes, or do the research yourself. There are many good satellite systems out there which we have fitted, and there are many others which are prone to damage or signal loss. A primary consideration would be the location of your travel. Are you planning on travelling around Europe, and if so which part of Europe? 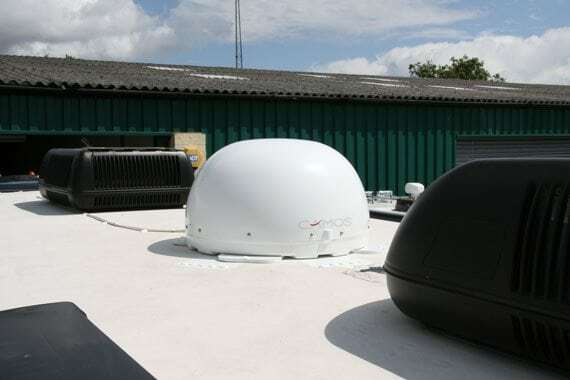 There are several different types of satellites which can receive a signal, principally dishes or dome satellites which come in different sizes (and sometimes shapes). 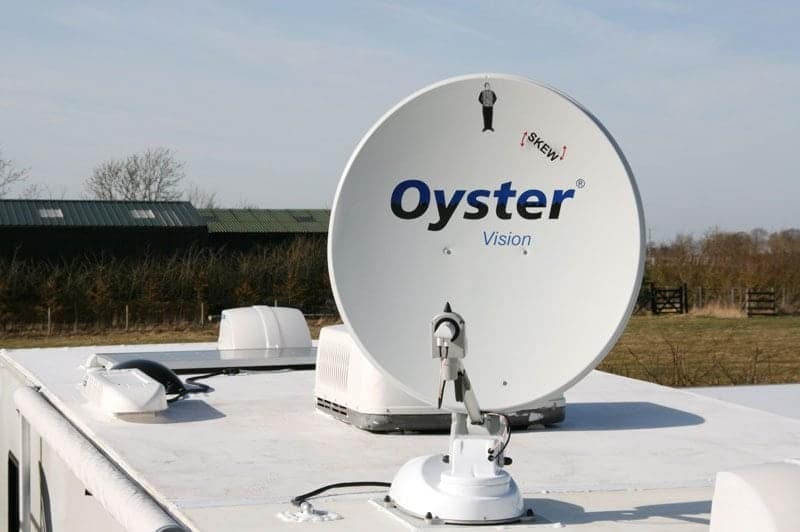 Also, the distance away from the UK is important, as if you remain in the UK, you may only need a 40cm dish, however parts of France and Europe in general may require a dish as large as 85cm or further south up to 100cm.The further south you are planning to use the motorhome satellite dish, the greater the need will be to adjust the LNB on the dish a few degrees to receive a perfect signal. Is it possible to climb onto a ladder to do this manually, or will a system with an automatic skew be more suited to you? As mentioned in the DVD paragraph, the twin LNB system allows you to watch one program on a front TV and a different program on the rear TV, making it ideal for when programs clash or even on a rainy day. Quad LNB does exist, and it is similar to the twin LNB, however the extra LNBs allow you to record another program. Satellite dishes are not only for the audiovisual signals for television; some can also receive an internet signal. Obviously, this is not as cheap as a home internet system; however it is sometimes a necessary or desired product. In this case, only the internet or the TV can be used at one time. If you choose, LAS Motorhomes can fit just the internet system with Wi-Fi and wire up the TV to the motorhome aerial as a more cost effective option. Numerous radios found in older American motorhomes will only receive odd frequencies; 100.7 for example, which greatly limits your choice of radio stations. Thankfully, some radios can be changed, but if not, LAS Motorhomes can source a new one which will fit the dashboard surround.